Savannah Music Festival LIVE weekly radio show produced for Georgia Public Radio, featuring highlights from the last six years of the Savannah Music Festival. Hosted and written by Executive & Artistic Director Rob Gibson, SMF LIVE radio includes 59-minute episodes utilizing the archives of the Savannah Music Festival. Program examples include "Brazilian Duets" with Mike Marshall, Hamilton de Holanda, Toots Thielemans, Gabriel Grossi and Daniel Santiago, "Piano Showdown" with Hank Jones, Eric Reed, Marcus Roberts and Carl "Sonny" Leyland, "Mendelssohn at 200" with Sebastian Knauer, and live edited concert performances featuring Mariza, the Punch Brothers with Chris Thile, Marcus Roberts Trio and Sensations chamber music with Daniel Hope. The show is produced by Ryan McMaken using concert recordings engineered by Kevin Rose of Elevated Basement Studio, Brian Peters of Tech Valley Audio and Rich Mays of Sonare Recordings. The Savannah Music Festival is Georgia's largest musical arts festival and one of the most distinctive cross-genre music festivals in the world, presenting premieres, one-time only productions and unique collaborations by world-class artists in jazz, classical, blues, bluegrass, gospel and various other styles of American and international roots music. SMF was recently picked by the London Times as one of the "best events around the world." A series of performance highlights from the 2012 Savannah Music Festival, including chamber music with Daniel Hope & Friends, IIIrd Tyme Out, Ruthie Foster, Mike Marshall & Edgar Meyer, Chris Thile solo, Paco de Lucia and many more. Shows culled from the archives of the 2011 Savannah Music Festival, including Ballake Sissoko & Vincent Segal, Stile Antico, Daniel Hope & Friends, Nikolai Lugansky, Junior Brown and many more. Season nine features live concert recordings from the 2015 and 2016 festival seasons. The sixth season of Savannah Music Festival LIVE radio features a wide variety of performances, all captured at the 2013 Savannah Music Festival. 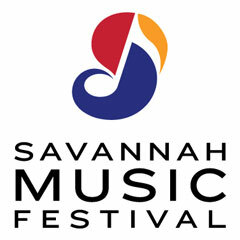 The third season of Savannah Music Festival LIVE features concert recordings from the critically-acclaimed 2010 festival. Beginning shortly after the 2009 Savannah Music Festival, the second series of SMF Live public radio features concert performances by the Punch Brothers with Chris Thile, Mariza, Sebastian Knauer, Marcus Roberts, Daniel Hope and friends, and many others. A performance given at the 2016 Savannah Music Festival in the North Garden Assembly Room at the Ships of the Sea Maritime Museum. In anticipation of SMF's 25th Anniversary Season, we produced a special radio program featuring Associate Artistic Director Daniel Hope as host. In 1998, when Bela Fleck formed his renowned ensemble the Flecktones, he never dreamed the group would still be performing almost 25 years later.